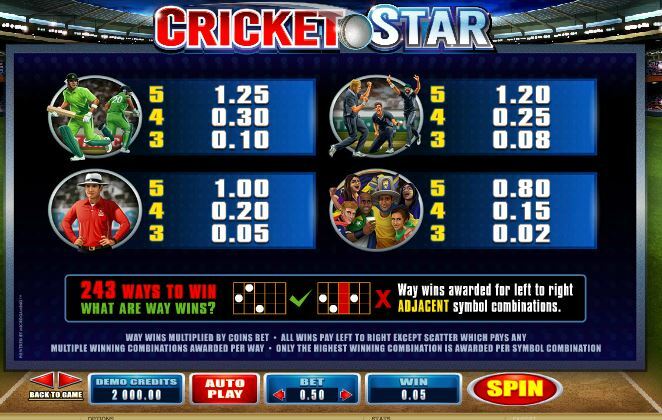 Cricket Star slot from Microgaming has 243 ways over 5 reels and is an alternative clone of Break Away and Cool Wolf slots. 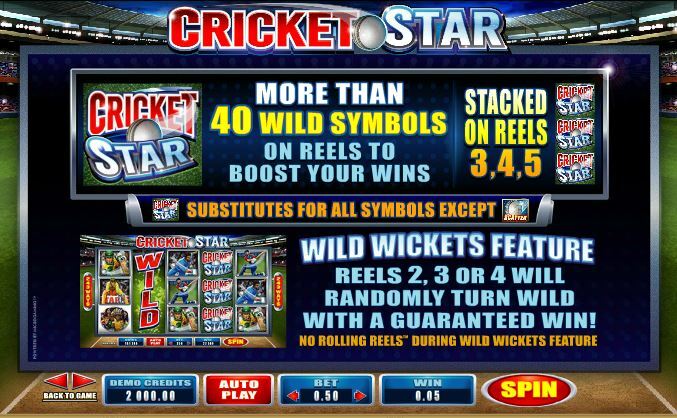 There are Rolling Reels and stacked 1x Wilds up to 40 on each of the last 3 reels plus a random feature which can turn 1 or 2 of the centre 3 reels wild with a guaranteed win. 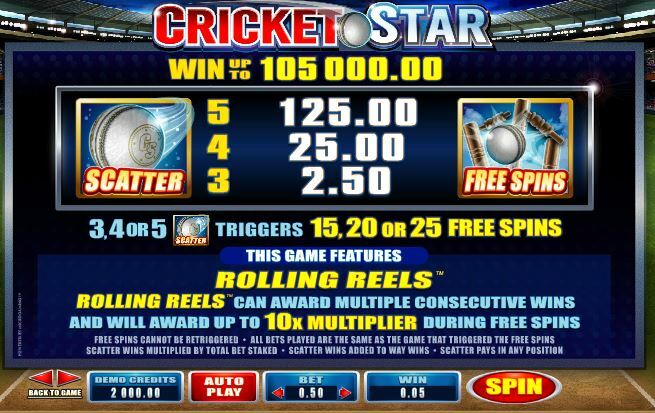 Three or more scatters trigger 15 to 25 free spins and in these the successive wins on the Rolling Reels can pay up to 10x multiplier! 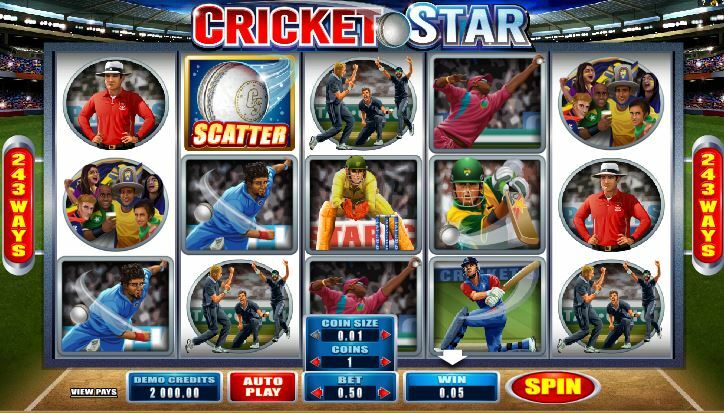 RTP is 96.10%.